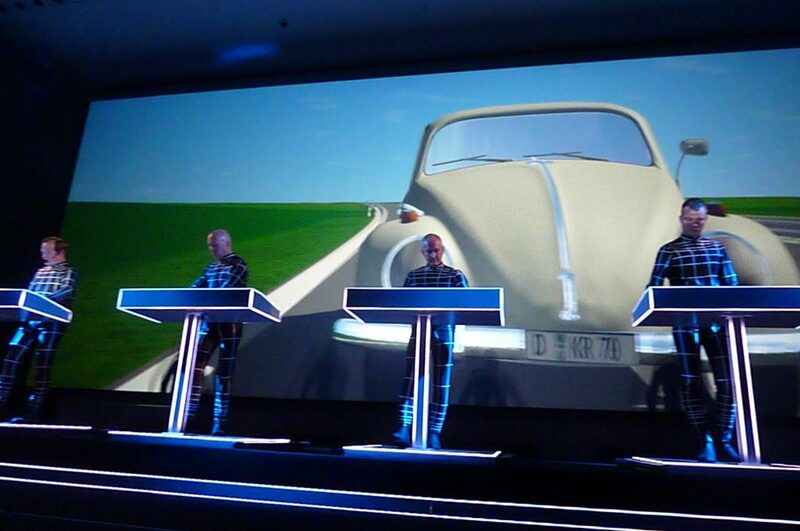 There’s no doubt about the influence KRAFTWERK has had on OMD. 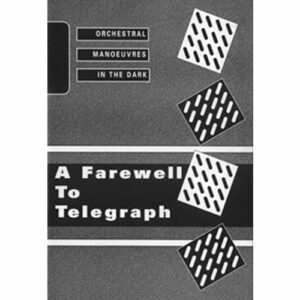 Both founding members have come out dozens of times citing the German experimental electronic band as a main influence. Lead singer Andy McCluskey jokes of how their song ‘Electricity’ is like a sped up version of Kraftwerk’s ‘Radioactivity’, there was a wonderful cover version of ‘Neon Lights’ on the Sugar Tax album along with a 2009 duo performance with Simple Minds on the Grafitti Soul tour, and on OMD’s last album History of Modern, there’s a sweetly moving dedication to the band in ‘RFWK’, the letters representing each of the Kraftwerk members names. Yet, I have to admit that I’d never seen the band live before. Last time they came to Chicago in 2006, the price was pretty steep and I was thinking it’d be four guys just standing in front of their computers so decided not to pay the price. 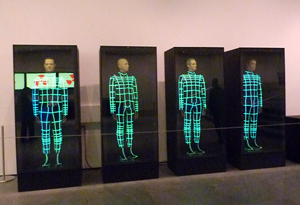 Unfortunately, I was totally unaware until later that they had an elaborate graphics display accompanying them. So I missed the opportunity and thought I wouldn’t get another…until the amazing news of an 8 night residency in New York City’s Museum of Modern Art came out. What a great idea! The band was to celebrate their massively influential years of music by performing each of their 8 albums (now nicely housed in a CD Box Set called Retrospective 12345678) on a specific night, all showcased inside a museum atrium/exhibit area. But the cost? If the last visit to the states was expensive, surely this event would be the same right? Nope, a very modest $25.00 a ticket but also with a VERY strict regulation of not only 2 tickets per person per SERIES, but also a paperless system that required IDs and confirmation numbers/emails to be presented by the ticket purchaser before admittance. It was a way to outsmart scalpers though I saw an outrageous Ebay listing of $1400/ticket and heard someone else paid $1,000 for theirs, crazy! But what an amazing opportunity, I couldn’t pass it up! Though the ticket buying process went wrong for some (many couldn’t get through due to the computer system getting overwhelmed and crashing, leaving a lot of fans and even museum employees without a ticket) I had suggested to my friend that we both try on our computers but also on the phone, the later being what allowed us both to get through and snag tickets, two for Radio-Activity and a solo ticket for myself to see The Mix. 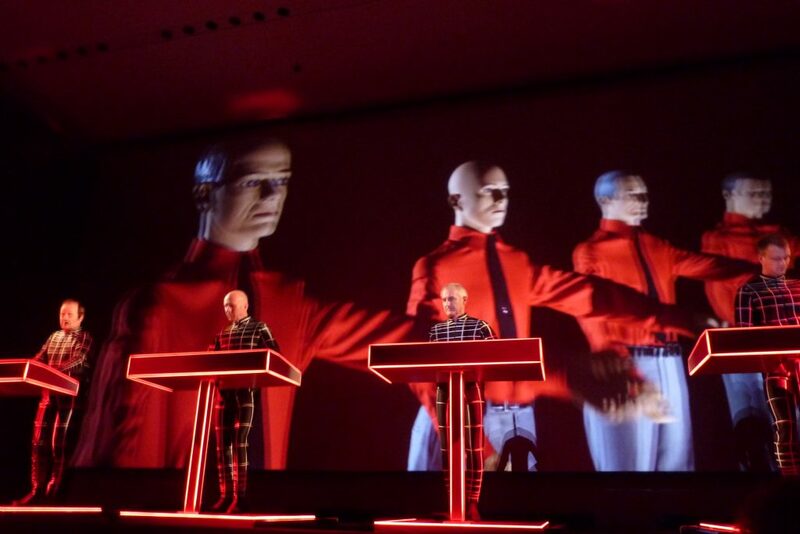 Back in October of 2011, Kraftwerk got together to celebrate an exhibit opening at The Lenbach House in Munich that had 3-D pieces being displayed. That celebration found the band performing for 3 nights and they followed that up by coming over to America in March to play at the Ultra Music Festival in Miami but for April, NYC was the place to be. There had been a lot of talk of celebrities…. who had come the night before (for Autobahn… Fran Dreschler, They Might Be Giants and Com Ma to name just a few) and who may be coming/were seen (I heard Dave Gahan’s name get dropped but no real confirmation and I never saw him…darn) and would we see anyone. There was definitely a buzz and I was thrilled to be one of the lucky ones getting to experience it all first hand! I immediately noticed the darkness. It was like we had broken into the museum after hours, there were no lights on. The small glow we were getting was coming from the entry way, the coat room off to the left, and the small bar just at the top of the first set of stairs but the halls and staircase up to the exhibit/atrium, along with the hall leading to the bathroom had nothing. Very strange and it made it hard to see details of things or make out faces. I joked to my friend that if Dave Gahan WAS there, he’d literally have to walk up/right past me for me to notice! When I got to the top of the stairs and went past more guards to get to the actual atrium area, I found a small square room with some people kind of milling around and a number of camera men/woman huddled by a little raiser at the back. I should mention that when I say “the back” it wasn’t very far. I’m not the best in guessing but I’d say 50, maybe 60 feet TOPS from the stage… it was a small room! 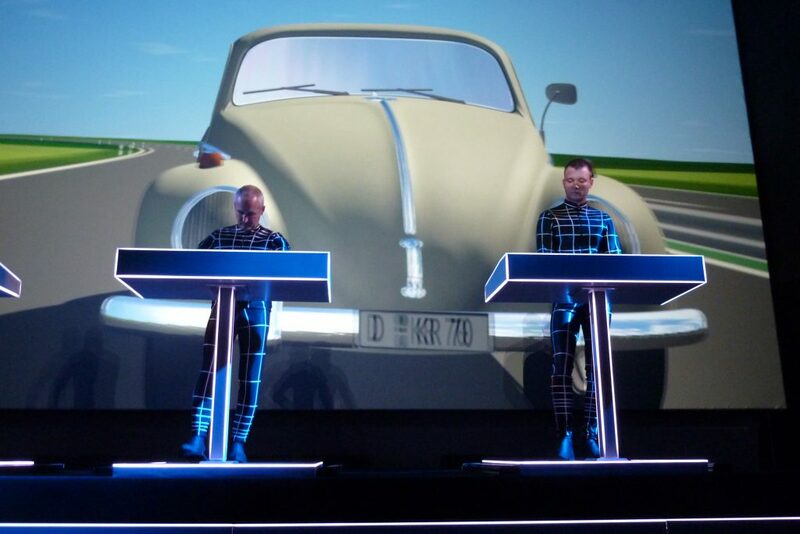 The stage was about 4 feet high with a thin sheet like barrier in front that allowed the Kraftwerk men’s boxes (because we never saw exactly what they were playing) and stands/podiums to be slightly visible. It was also obvious they were going to have graphics displayed behind them so the thought was not to go right up to the stage like you would a normal “concert” because it’d limit the visual pleasure. Due to having to hit the ladies room and coat check, by the time I got back up, a front “row” had formed and rather than be way to the side, I got behind a short girl just off the center and ended up with a pretty darn good view. OMD friend Damiano and his brother Gandolfo were there too and just before start, they found me up front. The fun was about to begin…. 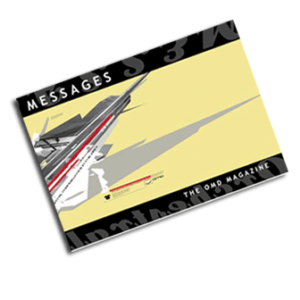 At 8:30pm prompt, we heard computerized voices and shadowed images appeared to take their stance behind the podiums. Sadly, Ralf Hütteris the only remaining original member. He was stage right (my left). Next to him was Henning Schmitz, who joined the band in 1991 after being their sound engineer, though I believe he still does some of that now. After him was Fritz Hilpert who joined in 1987 to replace original line up member Wolfgang Flür. And finally, taking up the other end of the stage and looking at least a decade younger than any of the other members was Stefan Pfaffe… the newbie as he joined in 2008. All of them were wearing black body suits that had white stripes on them that seemed to glow depending on what lights and displays were going on. 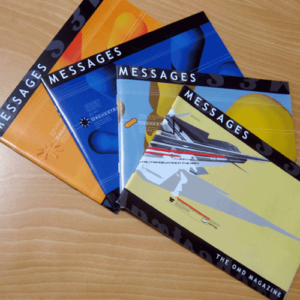 So did their boxes and podiums and very quickly, as they launched into ‘The Robots’, it was apparent we needed to open those little envelope like packets we were given and take out the contents…. 3-D glasses. How cool!!!! I’d heard of the old days when the band would take a small intermission, only to have the lights come back on to show life sized dummies in their replica who would perform this song. Sadly the dummies were in display boxes this time (though I got to see them and grab a picture on my way out tee hee ;o) but they DID appear on the screen behind the guys, met by a large cheer. 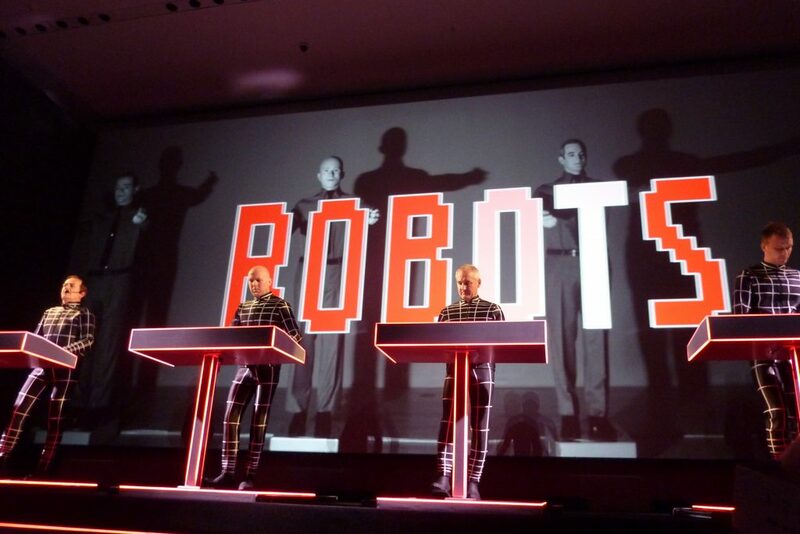 Being the night of Radio-Activity, this meant that we’d hear that particular LP in it’s entirety so after the bonus of ‘The Robots’ (not on the Radio-Activity album), they launched into the title track. I had not only been pleasantly surprised we were allowed to take pictures but stunned that a guy in the front row had been recording ‘The Robots’ and wasn’t stopped! I decided I’d try for the next one so was thrilled when the familiar sounds of Radio-Activity began, whoo hoo! Track by track the band went through the album, each song being accompanied by various graphics, most of them in 3-D format. And these were the REAL 3-D images. 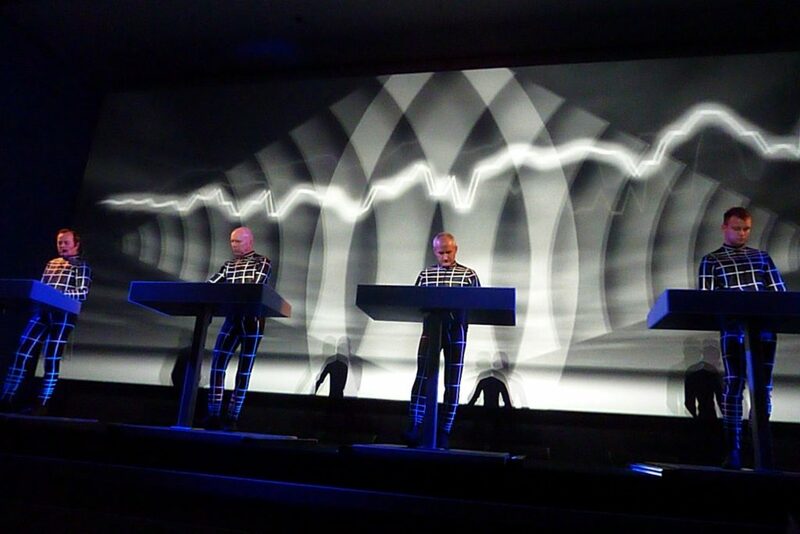 I have been to movies and/or park/museum shows that boast 3-D but when you see it, many of the effects fall short or are blurry but not Kraftwerk’s! There was an old fashioned transistor radio that had a hand that came out to turn the dial while a red elongated bar moved back and forth (during ‘Airwaves’ I believe), ‘Antenna’ had soundwave looking beams that radiated out and were cut in two by vibrating blazing bars that wiggled across the screen and the added bonus of stereo sound found me looking from one side of the upper corner of the room to the other, at times expecting to see something coming down on us. Looking around, it was great fun to see the heads with glasses on all around me staring up at the stage, too funny but absolutely awesome! 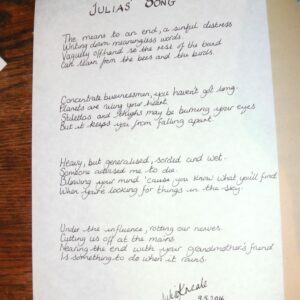 Vocally, some of the words were pre-recorded but the rest came solely from Ralf. Use of a vocoder was their thing back in the day but it was hard to see if Ralf had one this time but the familiar computerization met our ears and it was all I could do to not stare…. I couldn’t believe I was getting to see this finally! And so the album part of the night ended… but that was just part 1 of the evening because after that, it was a free for all. The guys launched into ‘Autobahn’ and the graphics for that were stellar! We were all transported into the drivers seat of a car whizzing along with others on the German expressway, curves and all. It was definitely a highlight! ‘Trans-Europe Express’ was next, and as would be expected, trains behind the guys. I should mention that the whole time I watched, all four guys stayed pretty stone faced and composed. I knew that was their “thing” but I saw Fritz let out a small smile once or twice as did Ralf, but both were very subtle about it. Henning on the other hand, well I’m not afraid to admit he scared me a bit. He made me a bit nervous, more menacing than the others and I was glad I was in the second row (though my goal for The Mix is to be front… but I think I’ll stay more towards Fritz and Stefan again). There were many a time we had things coming right at us. During ‘Numbers’, the letters and numbers kept, er, smacking me in the face and forehead. There were a multitude of cry-outs coming from the crowd, a few even ducking and/or trying to catch the flying objects. ‘Home Computer’ was the most colorful. There was a rainbow of bars all rotating around and even the boxes and podiums changed colors. This second half of the gig also brought about more movement. A girl in the front row continued to sway back and forth in a large octagon motion, the guy in front of me and Damiano were both moving around, and it was easy for me to bop around too though I refrained from a true bounce, it didn’t really feel quite appropriate but their music is too fun to not at least dance. About three quarters of the way through, I saw some fans had taken their glasses off so I tried that too. It was ‘Tour De France’ and it was OK for awhile, actually kind of nice to free the face and see the guys without a slight film in front of my eyes but shortly after, I could see that the bicyclists that were trekking along behind on the screen were a bit blurry so back on went the glasses and I didn’t take them off until after the show was over. Probably their, er, funniest (if I can use that term in describing Kraftwerk… it’s meant in a good way) song ‘Boing Boom Tschak’ was met with the words “boing” and “boom” cased in yellow quotation bubbles like you’d see in the olden days of say Batman and Robin or Spiderman TV series… I couldn’t help but giggle (which was easy to do since I had a huge smile on my face the whole night. I was just mesmerized by the whole experience). They did their final two songs of Techno Pop and the appropriate ‘Musique Non Stop’ and this was when we saw each of the members take their exit. But not before they each did their own little part to the song on their own boxed equipment. Henning’s was probably the closest to a jam, Ralf’s was more, well, old Kraftwerk sounding for a lack of a better term but when he was the last on the stage, the crowd cheered its loudest of the night. Eventually he too left but not before saying “Thank you, see you tomorrow night”. The crowd continued to cheer a bit but the lights came on shortly after and we could see it was over. 1 hour and 45 minutes of pure 3-D fun and something I hadn’t ever experienced before at a “concert”. All I could think of (well besides OMG) was that I was going to get to do it again in 6 days, yippee!!! Well I had to ask Damiano to take my picture with the 3-D glasses on, then we went to the gift shop. As he said, and it was true, the nicest arranged and organized display he’d seen. None of us bought anything but set our sights on some things for another night (he’s seeing a few more throughout the week/weekend) and then left. But not before I snuck a picture of the aforementioned cased Robots. I say “snuck” because they were right out in the open, others had taken pics earlier on when the museum was open but for some reason a guard tried to rush us out the door. I took a few steps, then he got sidetracked so thought “eh” and ran back to grab it while Damaino and his brother laughed. Like they said, more people were still in the place and hadn’t left so what’s the rush? Once outside and heading down the street still chatting about the gig, we saw a black town car pull up. Damiano thought for sure it was for the band but as we stopped (not to look so much but because others were coming towards us in our way) two more pulled up. His brother wondered and I thought maybe each member was going to get their own so we did stop for second as his brother said “are they coming out now?” but nope, some other guy came up to one of the cars. Maybe a crew or something but we didn’t care to wait and continued on. Goodbyes soon ensued and that was that for the night but what a night it was! SO glad they decided to come to America and do this residency and also to make it affordable for so many to come and see them… bless their hearts! Now I wait for Monday, though I’m a bit curious of the set list. The second half of this gig was almost like seeing The Mix already so something is going to have to fill the Radio-Activity part of the show… hmmm…. maybe another ‘Ohm Sweet Ohm’… or ‘Neon Lights’ perhaps? THAT would be awesome but no matter, I loved every song performed tonight so whatever they throw at us (literally at times!) will be great!